Today I want to share my five favourite easy to grow herbs that I would always give space to, they are the backbone of the herb garden. 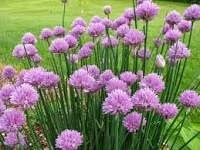 Chives part of the onion family are so easy to grow and multiply easily, they are great added to soups and omelette's and the flowers are lovely added to salads, they will self seed in the most unusual places and pop up in nooks and cranny's, they are available all year round too. I do also grow garlic chives that have a mild garlic taste. 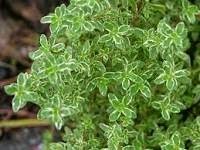 Martin loves this herb and is always brushing his hands over it, it is s aromatic there are loads of different thyme's his favourite is the common thyme, it keeps it leaves again though the winter so is available all year round, it gets added to roasts and casseroles, it is low growing and creates nice little shrubs and has lovely delicate flowers. I love the smell of rosemary it reminds me of holidays walking through the shrub lands in Spain were it grows like weeds, again its available all year round, it needs to be kept clipped otherwise it becomes straggly and cutting into the old wood doesn't do it any favours, so the more you use it the neater it will stay, this plant Marti has to check the smell of before cutting as he often mistakes it for Lavender, one day we had roast lamb with lavender a mistake he is not keen to repeat they do look similar I suppose. We had access to a lovely big tree before we moved it overhung our garden from next door, when we were doing our extension I had to dig down an extra 3 foot on the corner of the extension footings because of this tree, my payment for the trouble was bay leaves when I needed them there was never a shortage it was a big tree, I bought one to plant out in the new garden, another year round producer, the leaves get bruised and added to a multitude of meals. I love mint, but it is seasonable its the one plant I really look forward to it popping up, mint tea is something I look forward to made with fresh mint, and I love mint sauce I would have it on everything, I one time I had 17 variety's of mint growing, Apple, Chocolate, Corsican, Pineapple, Ginger, Peppermint to name but a few, I would look for different ones wherever I was to add to my collection. I have never contained it I am happy for it ramble around I just give it plenty of space. So that's my five basic herbs that we grow and use all the time, there many others we grow as well but these are the basics I would always have. I have taken the pictures off Google as mine are still young ones and it was pouring with rain when i wanted photos. pop over to Amy's blog the home of five on Friday to what else people are posting about. A lovely list of herbs, some of my favourites there as well. Chives are so easy to grow and so pretty aren't they. The bees always love the flowers. We're making a herb bed here this year, I'm looking forward to seeing what else we can grow. I am going to try to grow more herbs in pots, my chives are sprouting out again now. I keep all the above in my herb garden, I have just pulled out last years Parsley and reseeded, I also have loads of garlic growing, 1st time for me. I want to do at least some pots of herbs this spring and pwrhaps a few window sill ones. 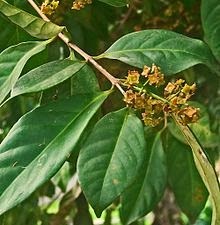 I didn't know bay was a tree. 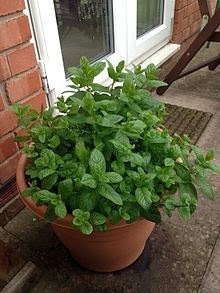 I also have your chosen five, I didn't realise there were so many varieties of mint. I will have to give some of them a try, thanks for sharing. Would not be without our herb garden, I love chives and bay, but we have basil in the house and that's my favourite. I grow these five too and also had a thing about having lots if different mint varieties. Nowadays I stick with traditional mint. Glad you said these images were from google as mine are no where near at these advanced stages!!! Just popped in to say I'm really enjoying reading through your blog, I'm up to August 2014. When I first moved out to the country, I experienced almost all of the things you have, good and bad. Particularly liking the animal posts - especially the alpacas of course. Better go now, I'm not getting any chores done ! I have never grown bay. I wonder if it would do well in my little part of the world. Need to research!